In the aftermath of the Tōhoku earthquake and tsunami that hit northeast Japan on March 11, 2011, a group of concerned Japanese citizens living in Central Oregon came together to raise money for the relief effort. Coming out of the successful ‘Dinner for Japan Relief’, two of the primary organizers, Keiko Wysuph and Yukiko McLaughlin decided to continue bringing authentic and healthy Japanese cuisine to Bend, opening in March, 2012. Bento is a single-portion takeout or home-packed meal common in Japanese cuisine. A traditional bento consists of rice, fish or meat, and one or more pickled or cooked vegetables, usually in a box-shaped container. 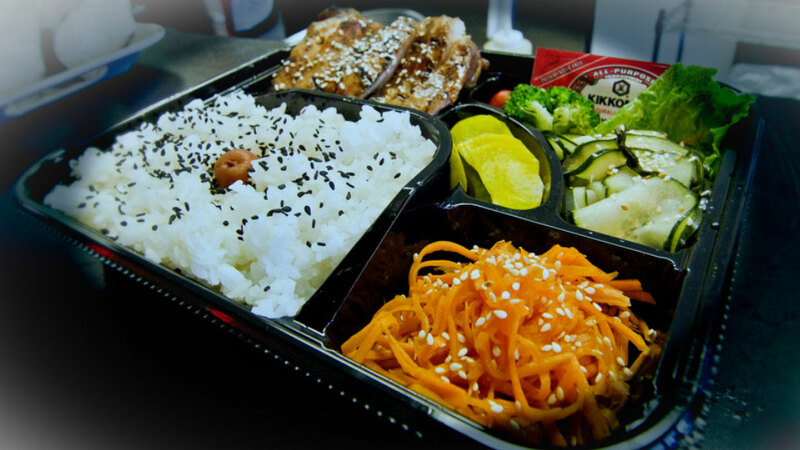 Bend-o Bento brings this traditional meal to Bendites for their health and enjoyment. They faithfully update their Facebook page with their daily specials, to check ahead if you want details before you arrive. Their location is a bit like a bento box itself, small but elegant. It’s off Wilson Ave on Bend’s east side.